This entry was posted on March 30, 2013 by newyorkcityinthewitofaneye. It was filed under DAILY PHOTOS WITH STORIES OF NEW YORK CITY and was tagged with bishop nicholas dimarzio, Brooklyn Bridge, city hall park, Good Friday, Ground Zero, Hans Von Rittern, Jesus Christ, Manhattan skyline, New York City, St. James Cathedral, St. Peter's Church, The Way of the Cross, tourists. 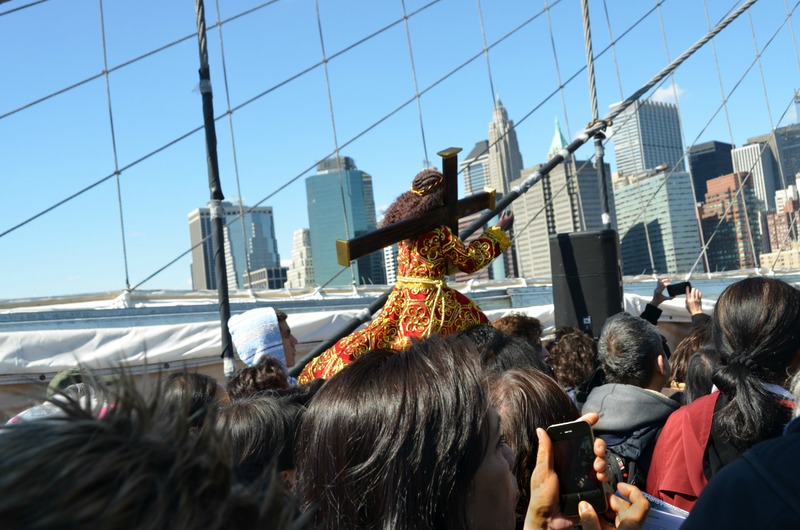 Jeezus crossing the B’klyn Bridge!